Just a few bits I've picked up from Primark recently in video format! I went to my local "good" Primark in Telford while I was at home for Christmas and spotted a few bits and bobs I fancied. Funny enough most of the necklaces came to a measly £20! Compared to the ridiculous ammount of money I spend on jewellery from Urban Outfitters, Topshop and other places I was really impressed! While I don't think Primark jewellery is the best quality I find it's great for those few on trend pieces to get you from season to season. My favourite bits from this haul include the triangle necklace as it's going to look really nice layered over some plain dresses or jumpers for a statement necklace. I'm also super happy to find that Primark have finally started selling frilly ankle socks! They are super cute and half the price of the Topshop ones I normally buy! 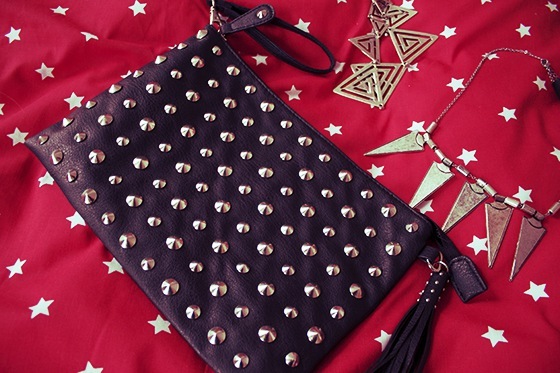 Also, I'm head over heels in love with my new studded clutch that I almost forgot to put in this haul! It's the perfect going out bag and goes with pretty much everything! Some really great buys there - I really love the necklaces in the 4th photo! I saw this vid <3 I wish you zoomed in a little on the items though during the vid! That clutch is gorgeous! I think Topshop have a similar one but I bet this one is half the price! Fab finds! 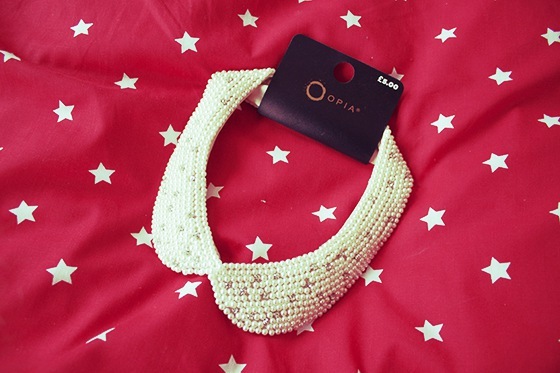 I chose half my own Christmas presents from Primark - some amazing jewellery and accessories (and clothes!) in the London stores atm! Some really good buys I'll be getting my frilly socks from primark in the future instead of getting them from topshop! I was in the Oxford St Primark the other day and filled my basket up, ended up putting loads back though as I couldn't bring myself to spend £50 odd in there! I might have to go back for the triangle necklace though! Lovely pieces.. Think I'm (over)due a primark trip.. may have to for payday.. Clutch is lovely and if it's one I'm thinking of, its quite big too. Lovely pieces you've collected Lily, you can get loads of great bargains from Primark. Their accessories are particularly nice. Some great finds! I wish Primark was as good in Ireland as it is in the UK! 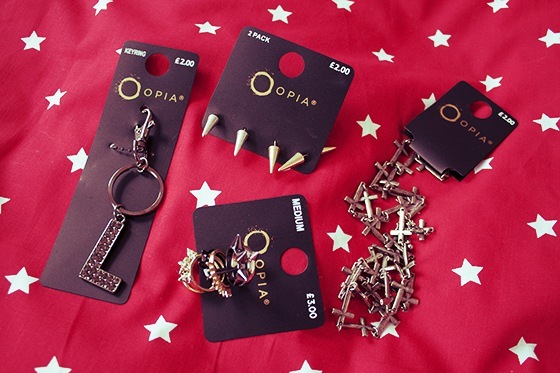 Love the spike jewelery! And those loafers are really cool. A few days ago I went to Primark here in Holland and they didn't have these cool things. i love primark jewelerry (got the cross necklace the other day), and i spotted those frilly socks the last time i was in there and regretting not buying them now! 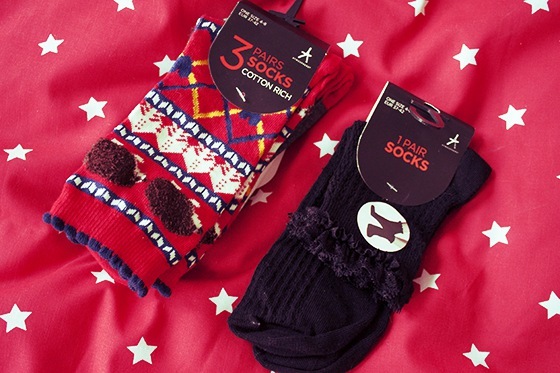 OoOoOoOohh I so wanna go primark now! Love the shoes! Love Love Love the clutch!! Primark have definitely upped their game! Why do I never see anything like this when I visit haha! Lovely finds! Especially the clutch! Really like what you have picked up! Absolutely beautiful, I love it. Primark have some great earrings in at the moment - love these hauls as you cant obviously buy primark online, so it's great to see what you can get before going. Primark have defo. improved, need to get myself down there!! The cross necklace is gorgeous! Espero que subas más compras para verlas. Hey guys..everyone here is talking about jewellery only,hasn't you seen this stunning black clutch with golden nailed design...?